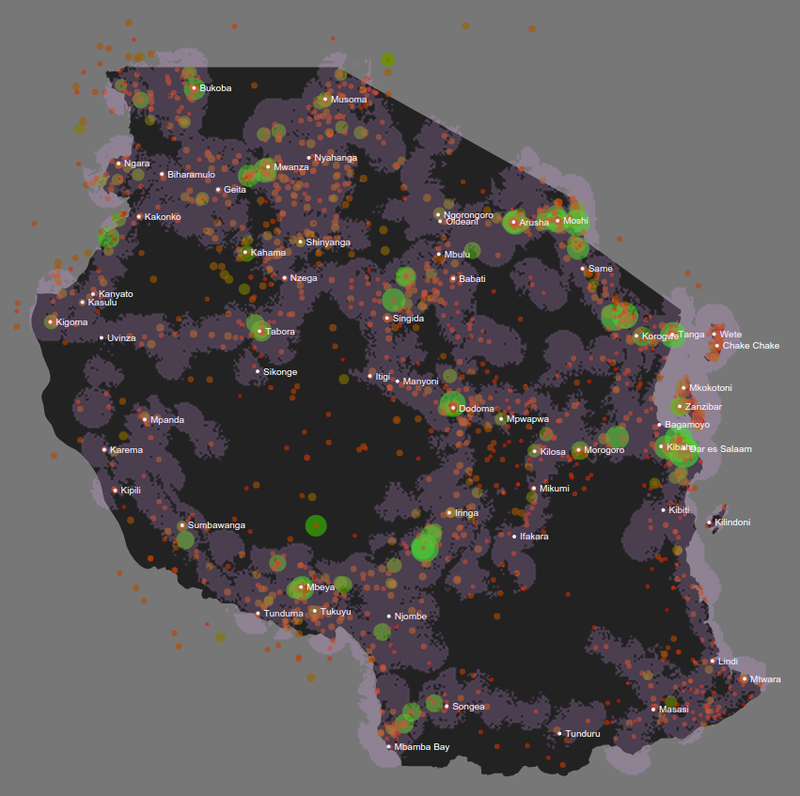 This maps shows the performance of Form IV students at schools across Tanzania. Schools are ranked from best (large, green circles) to worst (small, red circles). Data was scraped from the NECTA (National Examinations Council of Tanzania) website and the Google Maps API was used with school names to retrieve GPS coordinates. Circles outside the country are due to noisy Google API calls. Schools are named after the towns in which they are located. Using this information, we can remove the extra pieces of school name to only use the town name. Reduce the variability by scraping information about school districts. Create an additional layer to the image that shows the internet and cell phone coverage in the country (e.g. cell coverage) to demonstrate whether lack of service is correlated with low school performance. This would make a case for targeting areas of the country that don’t have internet access (see Khan Academy Lite). Visualize the change in performance for the years 2008-2012 (e.g. Heat Maps over time). This represents a method to track whether interventions have been successful.